GROOTs Kenya, continues to support women in commercial agriculture in a bid to improve their economic status. 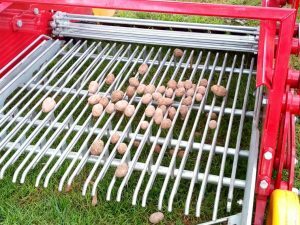 As part of this, Grassroots’ small holder farmers in potato value chain from Nakuru and Nyandarua counties, participated in the third National Potato Conference and Trade Fair held at KALRO in Loresho on the 24th and 25th May 2018. The GROOTs Kenya’s exhibition tent attracted a huge number of participants who were moved by the vibrant grassroots women that displayed the power of empowered women in enhancing food security and agri-business development. 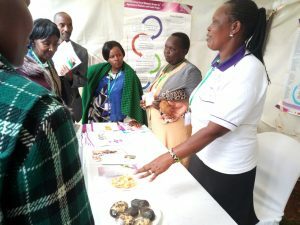 The grassroots women showcased their innovative technologies in value addition of the potato product including making of flavored and non-flavored potato crisps and roasted potatoes. The grassroots farmers learned of other technologies such as mechanization in land preparation, potato harvesting, production and storage. They also familiarized themselves with national and county level government, the 2014 potato bill – geared towards improving the competitiveness of the potato value chain. They interacted with fellow farmers, stakeholders and experts in potato sector. The women, for example, farmers from Nakuru created linkages with seed producers in Nyandarua. The seed grower had the Dutch Robijn variety which farmers in Nakuru had been looking for, to boost their production and meet the demand from an identified (NOLDOX). Women farmers learned about the requirements to qualify as seed producers from KEPHIS (a regulatory body in seed production). Commercial seed production is one of the avenues the women farmers are expected to venture into. 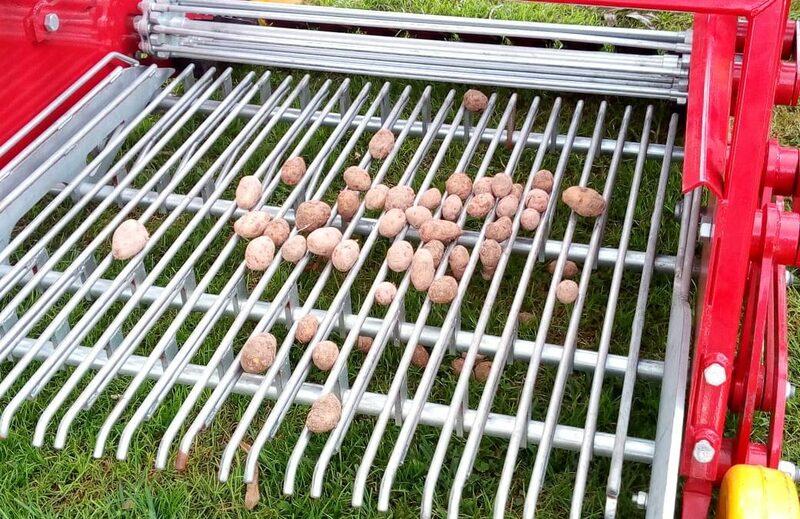 Farmers were also able to identify their role in the sector especially in regulating the potato packaging which has been a major avenue of exploitation. Potato disease especially bacterial wilt; Seasonality of the crop; Low bargaining power among farmers; Information asymmetry between farmers and the brokers; Disorganized market systems; Low adoption of farming technologies such as use of certified seeds, conservation agriculture and integrated pest management and Poor coordination among development partners. The National Government through the Agriculture Permanent Secretary, Hon Richard Lesiyampe pledged to support initiatives geared to drive potato production to higher levels through: Irrigation, Mechanization and Provision of extension service. Other stakeholders who participated at the conference included National Government through the Ministry of Agriculture, GIZ, AGRA, GROW AFRICA, KALRO, SNV, Africa Lead, International Potato Centre (CIP) and USAID. GROOTS Kenya is grateful for the support and partnership with WeEffect and Horizont3000 Consortium that facilitated grassroots women participation in the event. Grassroots women are doing their part. The government need to speed up legislation related to potato to ensure that farmers do not make losses. I am looking forward to tasting the grassroots women’s crisps!